Are you looking for a way to spruce up your Betta fish tank? One of the easiest ways to improve your Betta tank is to add live plants. Live plants will help recreate your Betta’s natural environment, stabilize the water parameters, control algae and even give your Betta a fun place to hide and rest. When properly set up and maintained, live plants will ensure your Betta will live a long, healthy and stress free life for years to come. 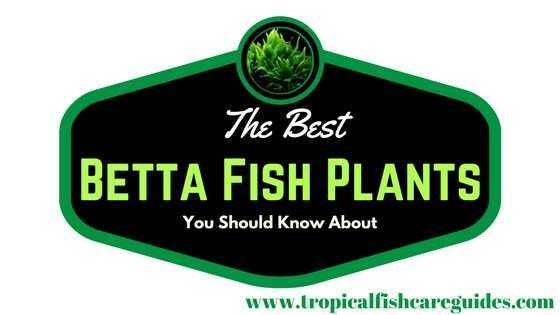 If you are unsure which plants would be best suited for your Betta this guide will show you the best live plants for Betta fish along with care, planting and maintenance instructions for each plant. Are Live Plants Good For Betta Fish? So What Plants Are Good For Betta Fish? Short answer, Yes! Most definitely. In fact, to help you understand all the reasons why you may want to add live plants to your tank, we have highlighted 6 of the biggest benefits to using live plants in your Betta tank. Using Live plants will add a natural feel to your tank that your Betta will love. Live plants will also provide a more natural environment for your Betta fish, helping them feel more secure and comfortable in their surroundings. Additionally, you won’t have to worry about your Betta damaging his beautiful fins like you do with fake plants. No matter how good plastic or silk plants may look, there is no substitute for live plants. Live plants will grow and spread, giving your Betta tank an awesome natural look. Live plants can also help keep algae levels down by utilizing some of the excess nutrients in the tank. In addition to helping prevent algae, most live plants help eliminate harmful toxins from your tank keeping your Betta healthy and happy. Live Plants will feed on the ammonia and nitrites produced by your fish and its waste helping keep the water clean. Also, some live plants can help stabilize the PH levels of your water, just be sure you know what effect each plant can have on your water parameters. Betta fish love to hide and rest on live plants and will sometimes even nibble on them. However, will not eat plants regularily because they are carnivores. Although there are many benefits to keeping live plants, there are also a few drawbacks. Below we have compiled a few to consider. If unkept, live plants could die off and decay, dead plants will slowly release amonia and become toxic. The trick here is to ensure you keep a regular maintenance schedule that includes caring for your plants. Depending on the plant you decide to get you may need a specific light range. Some plants need specific nutrients, CO2 and substrate in order to flourish. 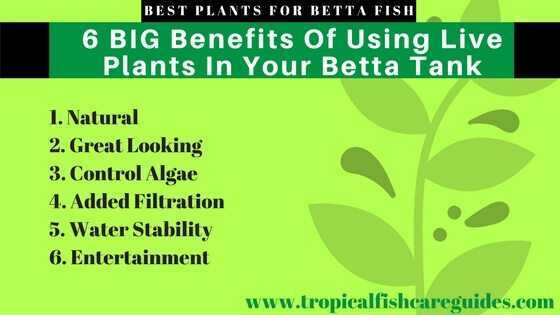 Be sure to research each plant before you decide to add it to your Betta’s tank. Some plants can grow really fast and will quickly take over your Betta tank. Again, be sure to keep a regular maintenance schedule. If not treated, some plants could transfer disease, bacteria and/or little unextpected friends, like snails. Be sure to quarantine any live plants before you add them to your tank. 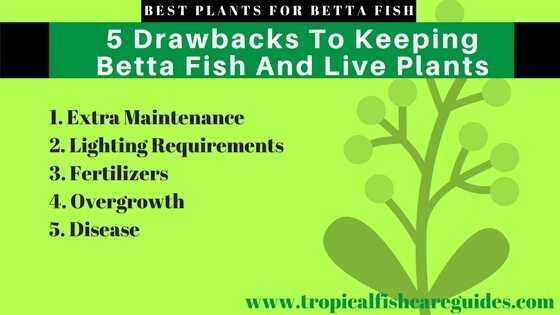 Even with drawbacks keep in mind there are many plants that are great for Betta tanks. To help you decide which live plant is best for your Betta we included care instructions next to each plant description below. We also tried to only include live plants that would be considered low maintenance, hardy and don’t require any special lighting or fertilizer. You can also check out this list featuring 12 easy Betta fish plants. 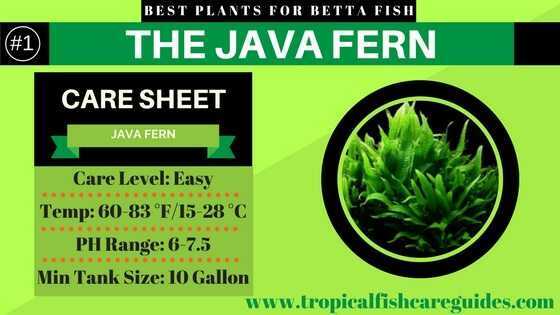 The Java Fern is a great live plant for Betta fish, it’s super easy to grow and doesn’t require any special lighting, substrate, fertilizer or Co2. A full grown Java Fern can be up to 13″(inches) high and 6″(inches) wide. The Java Fern will do best in a tank that is at least 10 gallons in size, which is an awesome size tank for your Betta along with a few tank mates. Also the temperature range and PH levels for the Java Fern are almost identical to the ideal water conditions for Betta fish. 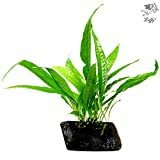 Because they are so easy to care for Java Fern can be placed in most tanks, without any special lighting requirements. However, you can have too much light. If the leaves become brown or almost transparent your lighting levels may be too high. Also, since they don’t really have roots they acquire nutrients from the water, so you may need to add some fertilizer after your water changes. Try not to use fertilizer tabs since they don’t really have roots. Java fern can be planted almost anywhere. They can be placed on decor, driftwood, rock and substrate. However, be sure not to burry them in the substrate as they pull most nutrients directly from the water. To attach Java Fern just use a colour matched thread, zip tie or even fish line for best results. Some people use rubber bands which are very visible and look horrible. To maintain Java Fern is pretty easy, just keep up on weekly checks and trim any dead or discoloured leaves. Because Java Fern are so hardy it’s pretty difficult to kill them. 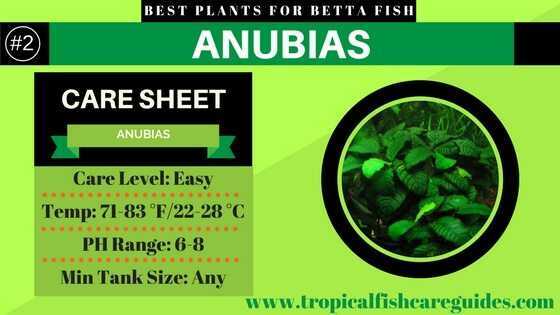 The Anubias is another popular plant species that works well with Betta fish. It doesn’t need any special attention and has nice big leaves that Betta fish love to play, hide and rest in. The Anubias is typically a slow growing plant and seems almost still in your tank as their leaves are thick, strong and leather like. Anubias is great betta fish plant that’s easy to care for making it great for small tanks. It does well in water parameters that suit most freshwater tanks. Additionally, Anubias doesn’t need any special lighting and can actually thrive in most lighting ranges. Anubias can be planted in gravel, substrate, deocor, driftwood or rocks. However, unlike Java Fern, Anubias will do best if planted in a nutrient rich substrate. Try to also plant your Anubias in an area that doesn’t get too much light. Because the leaves are thick, strong and don’t move, they become a great place for algae to grow. Regular plant maintenance like trimming dead leaves is recommended. But, depending on your lighting and the substrate Anubias can grow quickly and you may want to cut the plant into two and replant (Propgate). Marimo Balls are actually large balls of green algae, that look like a soft plant when placed in water. 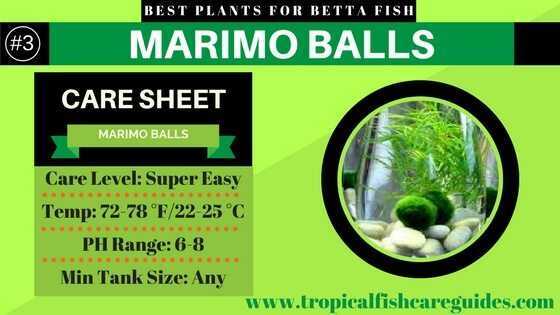 Most Marimo Balls will be 2-5″(Inches) around. Don’t worry though, your Marimo Ball won’t spread or turn your Betta’s water green. Marimo Balls can absorb pollutants, provide oxygen and prevent algae growth. So even though Marimo Balls aren’t really plants, they’re a great option for a live plant in your Betta fish tank. Marimo balls grow really slowly and almost require no care at all. Simply place them in your aquarium and let them float or sink. Marimo Balls don’t need to be planted, just simply fasten them to some decor or let them float and eventually they will fill with water, sink and settle in your tank. If any debris, dead or browning occurs on your Marimo Ball just tank it out of the tank and give it a good squeeze.